Public Acts is a nationwide enterprise created to bring together theatre performances involving members of the UK community. 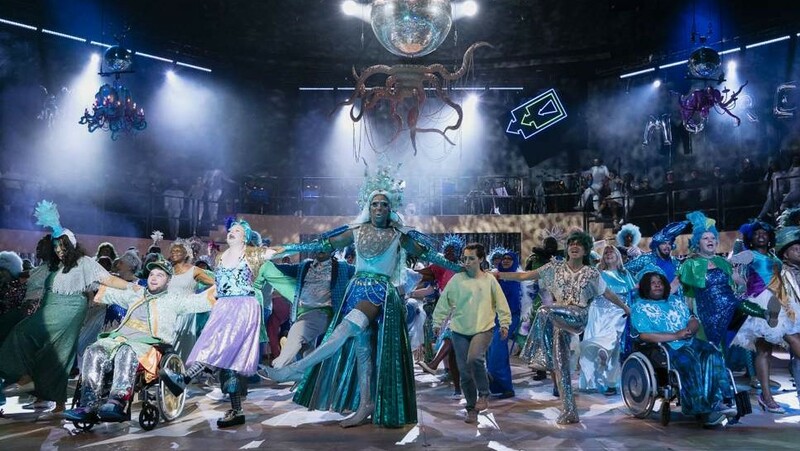 The first show to be born from the initiative, Chris Bush’s adaptation of William Shakespeare’s Pericles, presents a range of outstanding talent from varying ages – through the involvement of 16 other organisations – and incorporates over two hundred performers. The story is simple at heart. Born the Prince of Tyre, but later banished, the eponymous protagonist makes a journey through several other cities – Tarsus, Pentapolis, and Mytilene – before finally returning home. As with all adaptations, some changes set the production apart from the original: namely how Simonede is now Simoneda, Queen of Pentapolis – portrayed by a discerning Ayesha Dharkar – and Pericles’s wife Thaisa, who dies at sea giving birth to their daughter Marina, becomes a priestess in the Bard’s play. These modifications, however, do not take away from the essence of the tale. Bush’s unique reworking, alongside Emily Lim’s innovative direction, puts this staging at the forefront of recent modern Shakespeare reimagining. Children as young as four and five take centre stage, captivating the audience with their shining performances, reciting the iambic pentameter and singing with an inspiring ease and confidence. Lim’s focus and Robby Graham’s choreography involve all cast members, some of whom are in wheelchairs, others on crutches; it is touching to see individuals help their fellow actors manoeuvre across stage. The production appeals to so many because it faithfully captures the themes of love, loss and home, using individual stories from the collective. Audrey Brisson’s Marina emotionally evokes the feelings of a lost child, while Ashley Zhangazha’s Pericles and Naana Agyei-Ampadu’s Thaisa have an electric chemistry on stage, all three projecting striking songs when vocalising. A particularly moving section with Dessislava Stefanova’s solo performance beside the London Bulgarian Choir is especially haunting and beautiful. 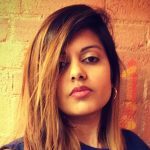 There are concepts and contributions from many London communities as well as the wider world, reflected in the ensemble, from the Youthsayers Ska Band to the Bhavan Centre Drummers and gymnastics group Ascension Eagles. This show succeeds in allowing us to travel the globe from the comfort of the theatre, and it is a wholesome moral tale of how we treat strangers and the place we call home. Apart from a technical difficulty midway through, where the performance was suspended, the company executes the drama seamlessly, returning with the same exuberance and professionalism. More opportunities should be offered to people from all backgrounds, faiths and abilities to enable them to observe theatre and to participate. The cast of Pericles truly charms the audience, receiving a much-deserved standing ovation and making the Olivier stage a place of wonderful unity. Pericles is at the National Theatre from 26th August until 28th August 2018. For further information or to book visit the theatre’s website here.